Final Chance to Win a Laptop! I know, I know, school has been going on for almost two weeks now and everyone is ready for scarves and pumpkin lattes and fall. But you know what just isn’t ready to end yet? KCPL’s Summer Reading Contest. Do you want a laptop? Now is your last chance to put in all your entries at http://www.kentonlibrary.org/src/teens/index.html or your most convenient KCPL branch’s reference desk. 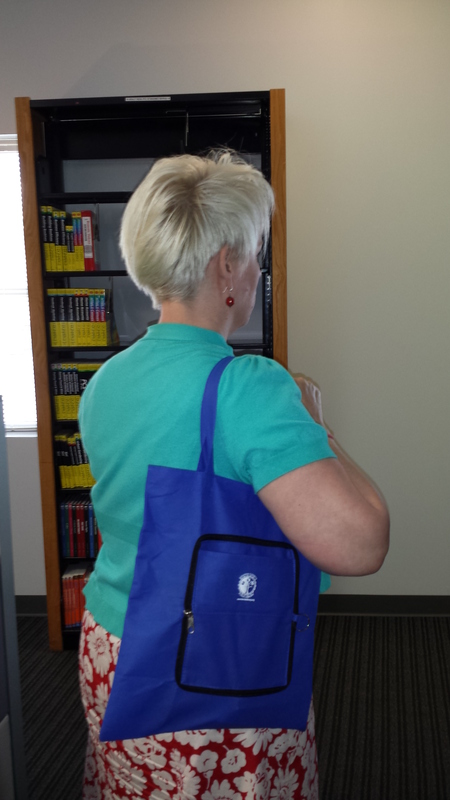 Each branch is choosing their laptop winner Tuesday, September 3. If you are blanking on what to read next, I just finished this and am a huge fan. 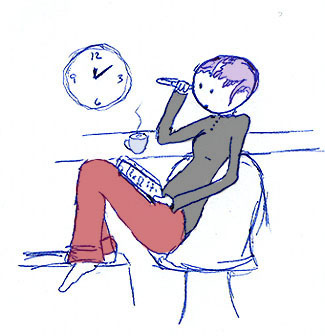 http://www.blackbirdsnovel.com/ It has all sorts of things I like in a story: historical fiction about an interesting time period she doesn’t know much about (America during WWI), a pandemic (flu), science, and ghosts! If that doesn’t sound like something you’d like, why not ask your friendly neighborhood teen librarian? Erin, Eden, and I (Jessy) are all available to give you ideas on what you might want to read. 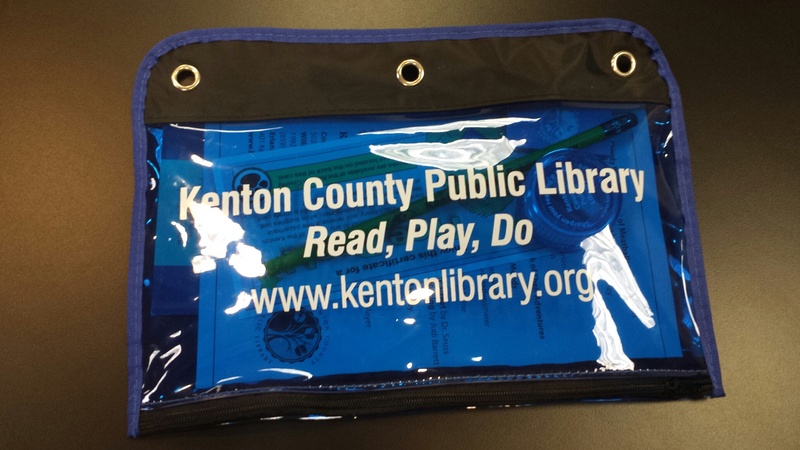 If you want one more program attendance chance to win (you can put in entries for every Kenton County Library program you’ve attended since June 1), there will be a Bento Box lunch program at Erlanger tomorrow, Wednesday August 28, at 4pm. Register here. Even if you didn’t win anything this summer, don’t be sad—we have tons of great contests, events & giveaways coming up this fall at each KCPL branch! Check out our new program calendar & get weekly emails about what’s coming up at the library! I love classic music, books, movies, cars, games and pretty much anything that falls under “classic.” And I love to share the classics with my children – ages 14 and 11. They might not always love it but I do! Working for the Kenton County Public Library allows me access to thousands of class books, music and movies. But you don’t have to work here to have access. A free library card gives you the same opportunities I have. All you have to do is show a current ID or a piece of mail that proves you live in the Greater Cincinnati/Northern Kentucky area. I love to share my favorite books with the kids. We have all read the Hunger Games trilogy. Reading these books at the same time sparked hours of conversation in my home. We talked about big government, the characters, what we thought would happen next and much more. We anticipated the release of the movie together and couldn’t wait to see it as a family. I have shared my love for To Kill a Mockingbird with the children. My dog is even named after that book – Scout Harper. This is definitely my favorite book of all times. It can be a little difficult for a child to read on their own but we were able to read this together and I could answer questions as we went along. I love introducing the kids to music. My son has become a huge Beatles fan. My daughter uses Freegal to download three free songs per week in order to fill her iPod. All she needs is a library card number and an Internet connection. 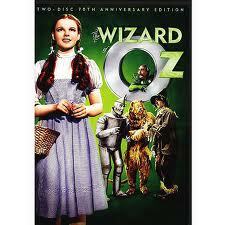 We have enjoyed hundreds of movies that we borrowed from the library. I’ve introduced the kids to one of my favorite actors – Johnny Depp – by sharing the Pirates of the Caribbean and Charlie and the Chocolate Factory. We have grown to love other actors from Kentucky as well like Josh Hutcherson who stars in the Hunger Games and Bridge to Terabithia. My family really loves sharing these items with each other and we save thousands of dollars a year by borrowing them from the library. I can figure out my total savings by using this nifty tool. 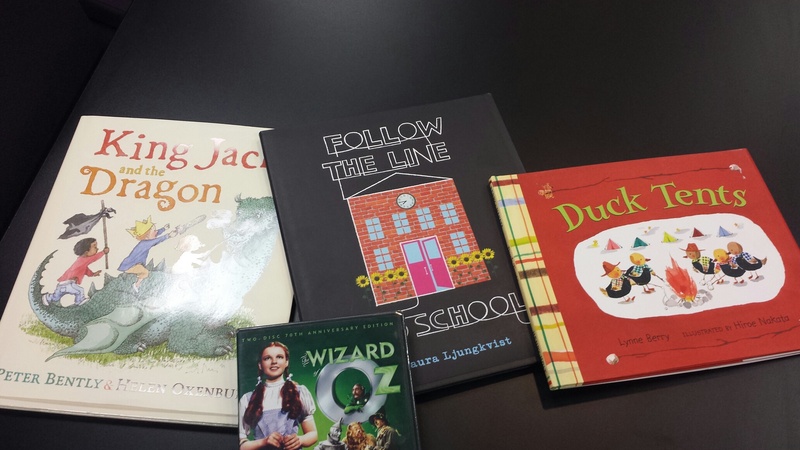 I was given a book that focuses on a classic song – If You’re Happy and You Know it (comes with a CD) and the two-disc 70th anniversary edition of the Wizard of Oz to give away here on the blog. I thought these two items together would make the perfect Classic giveaway. You can enter several ways. Be sure to comment separately for more chances to win. Enter by noon on Monday, July 8. We will randomly choose a winner through random.org, who will be announced on our Facebook page and emailed. 4. Use the library calculator and comment here telling us how much you save per year by using the library. Disclaimer: The movie and book donated to the library. Gina Holt, public relations coordinator, wrote this post. The Kenton County Public Library Summer Reading Club is in full swing. Adults, teens and children can win prizes just for reading. And now, we are giving you another chance to win a cool prize! We have an awesome Summer Prize Pack Giveaway! 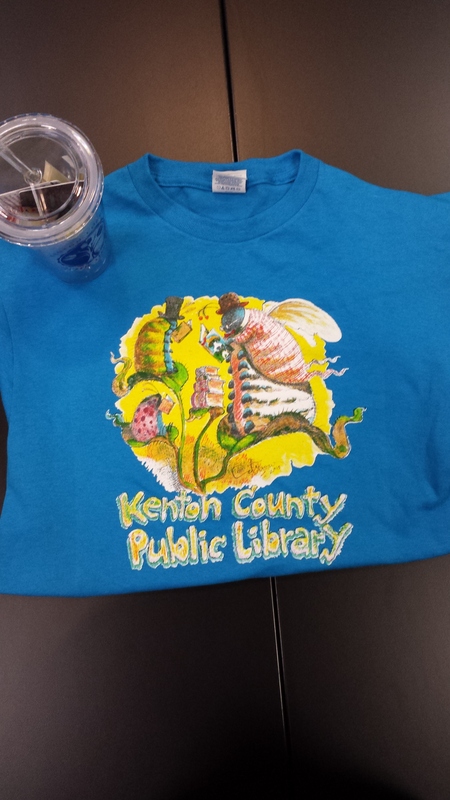 This pack includes Kenton County Public Library cup, candy, Kenton County Public Library clings, $10 Subway giftcard, a $5 Kocanut Joes giftcard and an adult sized Summer Reading Club T-shirt designed by illustrator and author David Catrow. You can enter several ways. Be sure to comment separately for more chances to win. Enter by noon on Monday, July 1. We will randomly choose a winner through random.org, who will be announced on our Facebook page and emailed. 1. What is your favorite thing about the Kenton County Public Library Summer Reading Club (required to enter)? 4. 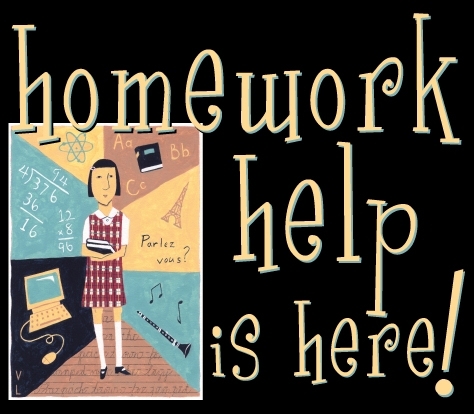 Follow this blog by hitting follow and comment that you did. Disclaimer: Kocanut Joe’s donated the gift card. 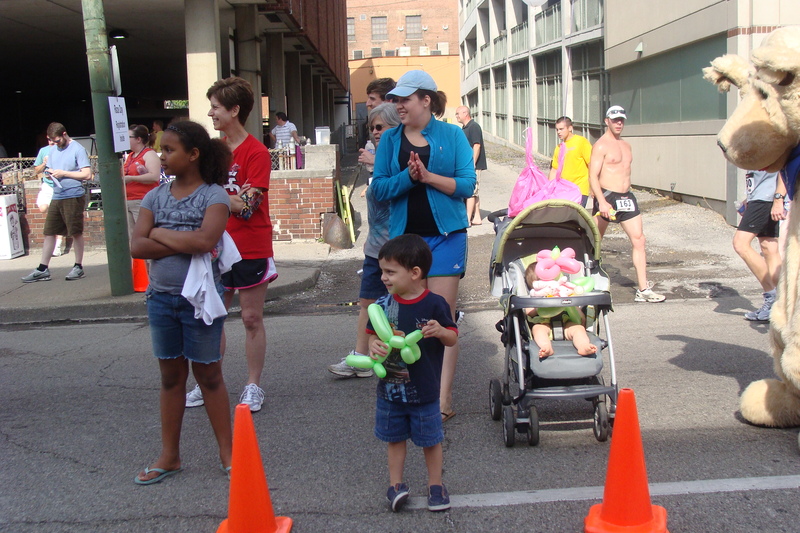 2013 Racing to Read 5K Walk & Run Registration Giveaway! 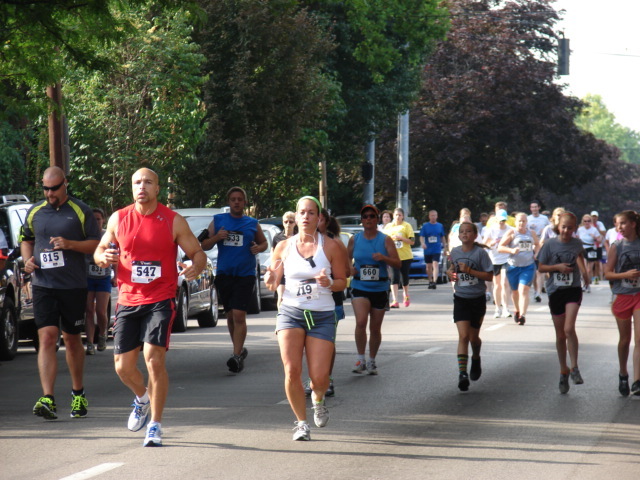 The Kenton County Public Library Foundation’s Racing to Read 5K Run & Walk is Saturday, June 8, 2013. We are giving away a free registration and a water bottle! You can register to win below. • CHIP TIMED! • Great prizes! Family friendly! • Prizes from Better Bodies, Silverlake the Family Place, Road ID, Bob Roncker’s Running Spot and more! • Fitness Walking (6 categories): 29/under, 30-39, 40-49, 50-59, 60-69, 70/over. Walkers must walk the entire course. Walkers who run may be disqualified. 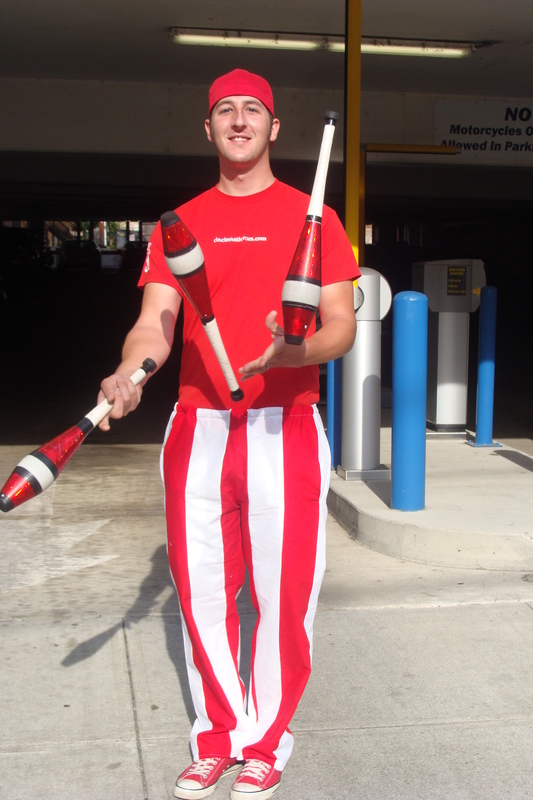 $20 individual (do not pay for children in strollers). Includes a T-shirt while supplies last. Online registration: www.runningtime.net. Available through Thursday, June 6, 2013. Packets will be available for pick-up on Friday, June 7 at Gateway Community & Technical College, 525 Scott Blvd, Covington from 11:45-4:30 p.m.
Checks or money order only. Please make checks payable to: KCPL Foundation. 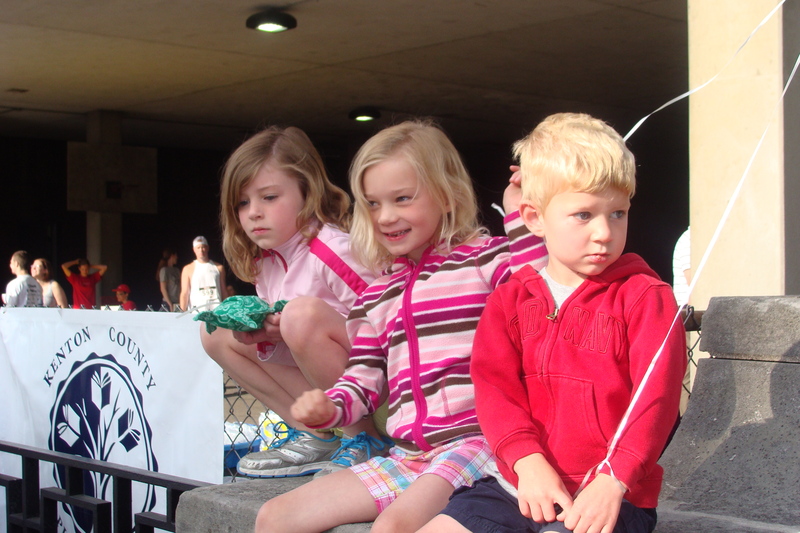 Postmark pre-registration by Monday, June 3. 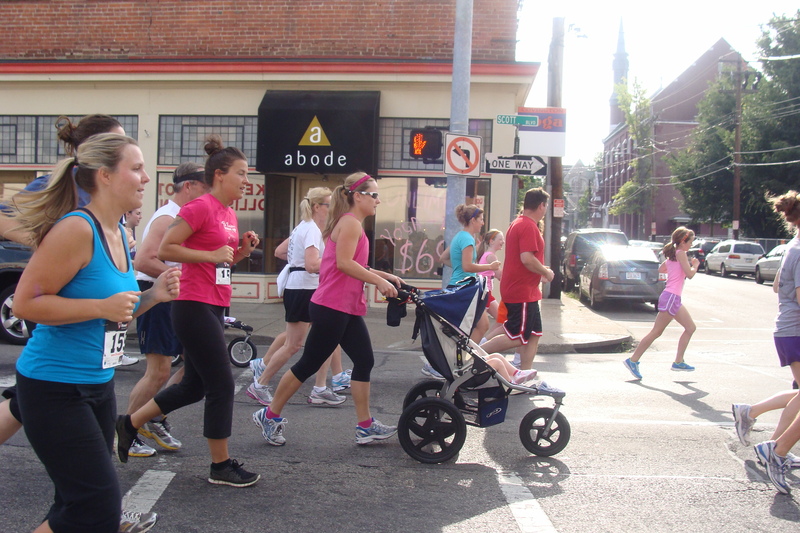 Mail to: Racing to Read 5k, c/o Greg McCormick, 10119 Crosier Lane, Cincinnati, Ohio 45242. No refunds. You can enter several ways. Be sure to comment separately for more chances to win. Enter by noon on Monday, June 3. We will randomly choose a winner through random.org, who will be announced on our Facebook page and emailed. 1. 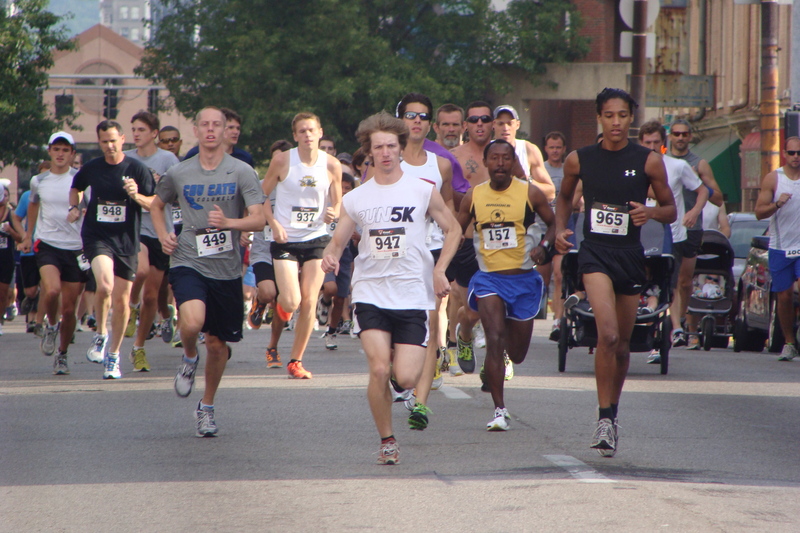 Why do you want to participate in the Library 5K? (required to enter). 2. 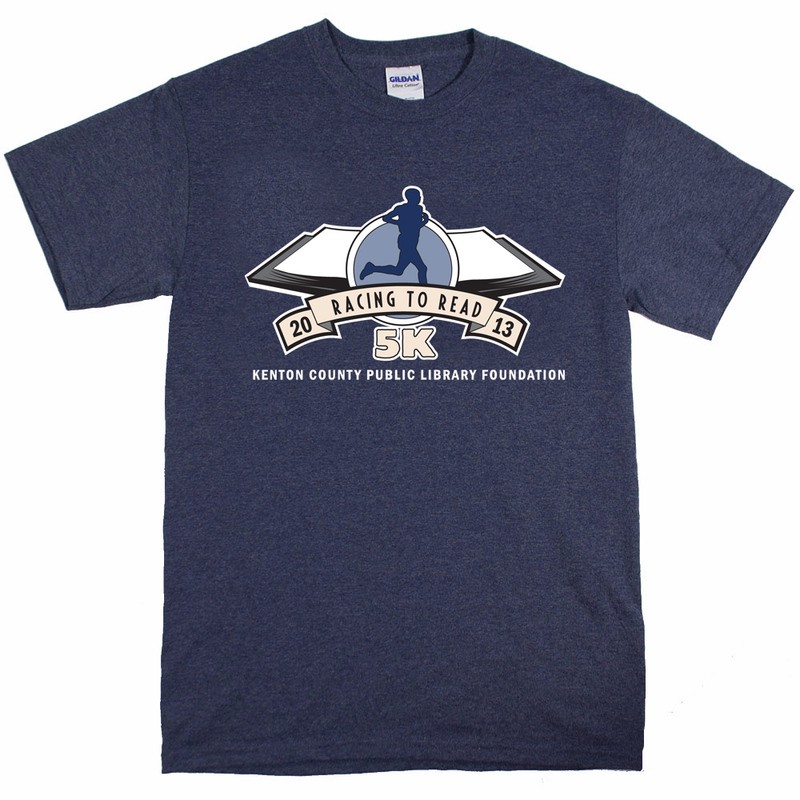 What is your favorite thing about the Kenton County Public Library? 3. Share this contest through Twitter, Facebook, email or text and comment here that you did. The winner will be emailed the registration form. The water bottle must be picked up at the race. Library employees and people living in their home are not qualified to win. 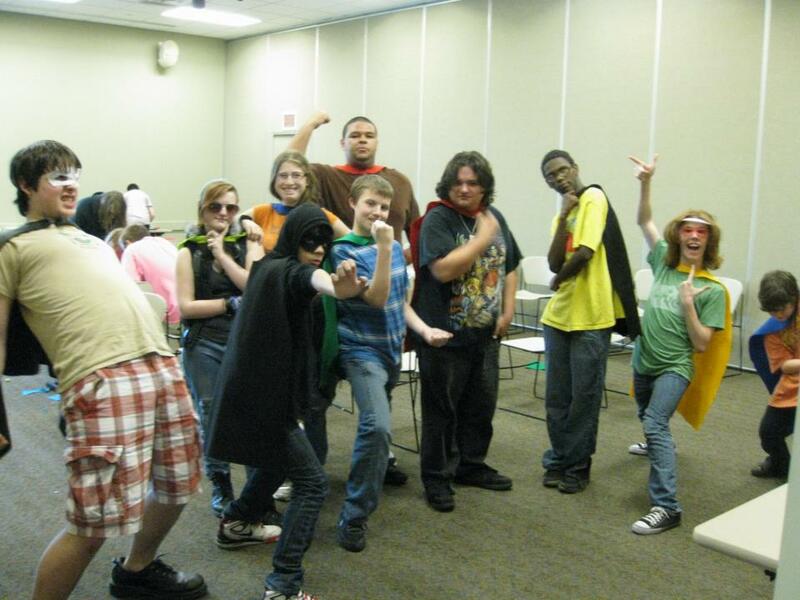 The Kenton County Public Library Summer Reading Club kicks off this weekend and we are pumped! You can read all the details about the Star Wars-themed kickoff on Friday, May 31 from 11:30 a.m. to 10 p.m., the Elvis-themed kickoff at the Durr Branch on Saturday, June 1 at 1 p.m. and the circus-themed kickoff at the Covington Branch on Saturday, June 8 at Family Friendly Cincinnati or at the Library website. 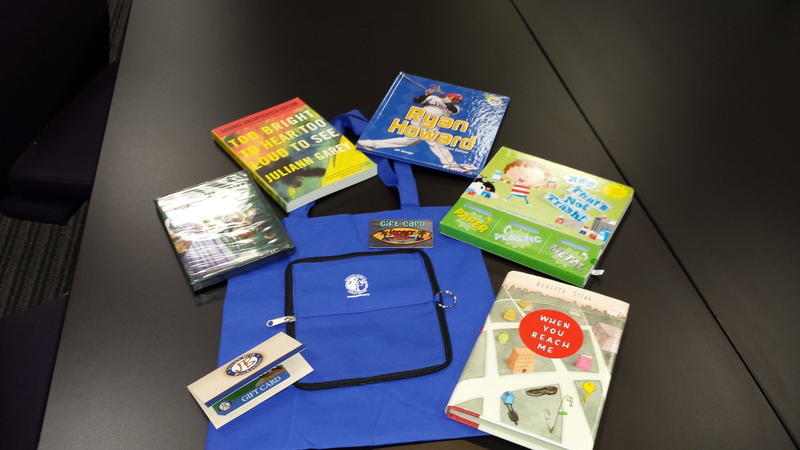 To get you ready for Summer Reading (where adults, teens and children can win prizes just for reading all summer long), we have a Summer Prize Pack Giveaway! 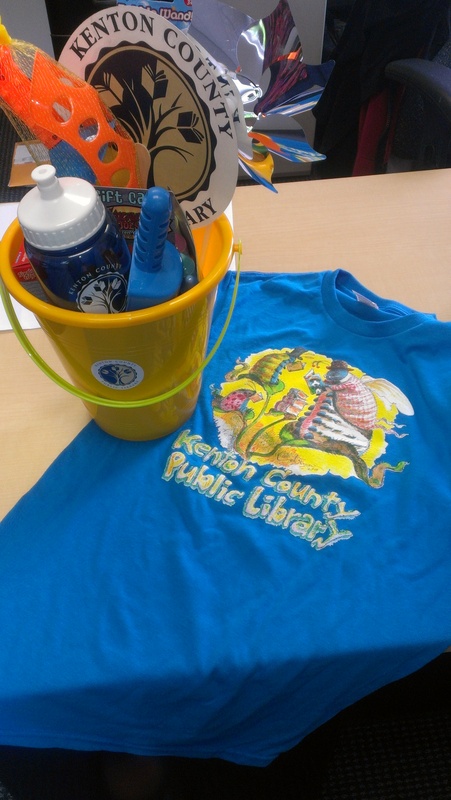 The prize pack includes a sand bucket, Kenton County Public Library water bottle, an adult sized Summer Reading Club T-shirt designed by illustrator and author David Catrow, a library hand fan, Hawaiian Punch Singles to Go, chalk, bubbles and a bubble wand, a pin wheel and a $5 gift card to Kocanut Joe’s. 1. What is the first book you will read this summer? (required to enter). 2. Who would you share your prize pack with and why?